HOUSTON - Here is a timeline of events in the Josue Flores murder investigation, as reported by KPRC. Josue Flores was walking home from Marshall Middle School when he was stabbed 20 times in the 1900 block of Fulton. Che Calhoun identified by Houston police as a murder suspect in the case. He was later cleared and dismissed from custody. Che Calhoun makes first court appearance. Che Calhoun dismissed from custody after his alibi was confirmed. Police confirm Calhoun was in Pearland at the time Josue was killed via surveillance camera footage. 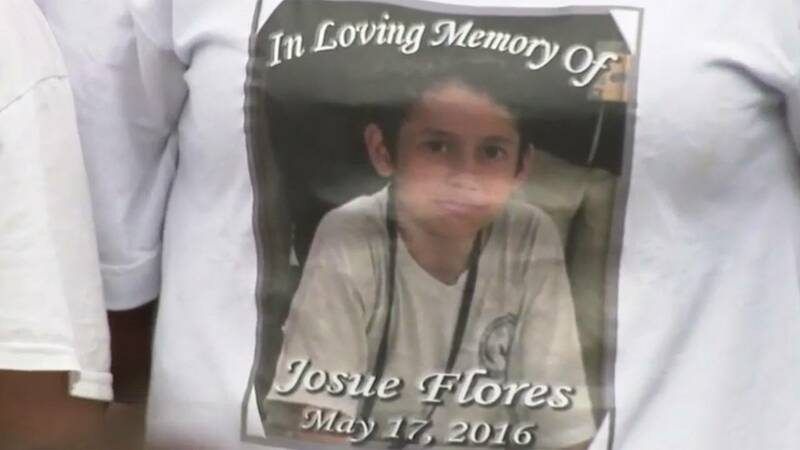 Josue's classmates honored him by wearing white, and a vigil was held at his school. Surveillance video released of Josue Flores walking home on the day he was killed. Knife found several blocks away from scene where Josue Flores was murdered. Woman found the knife while walking near North Main and Henry. Crime Stoppers reward increased to $20,000. Crime Stoppers reward increased to $45,000. Andre Jackson, a former Marine, was arrested in Josue Flores’ death. Bail was set at $100,000. Family of Josue Flores hold a silent march through neighborhood where Josue was killed. Andre Jackson makes his first court appearance. One-year anniversary vigil held for Josue Flores. Andre Jackson remained behind bars in the case. The Josue Flores Bill, SB 195, which would provide transportation funding to students living in high crime areas, passed the Senate and is being considered by the Texas House Education Committee. If passed, it would benefit 80 percent of Marshall Middle School students. Charges dropped against Andre Jackson, second man arrested in Josue Flores case. Prosecutors say he is still a suspect in the case. Prosecutors have not named any other suspects in the case as of this writing.